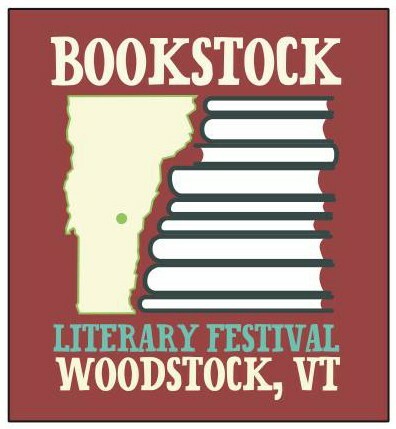 Woodstock Vermont's 9th Annual Bookstock Literary Festival! In fact, listing all the events and authors jammed into this amazing weekend would take up too much room. Instead, a pdf of the full Bookstock 2017 schedule of events can be downloaded here. Beyond the workshops and readings, the Bookstock Literary Festival also features two huge book sales for Friday and Saturday, 9am to 5pm. The first is a fascinating selection of fine, vintage books of interest to both serious and casual collectors, curated by and hosted at the Norman Williams Public Library. The second sale features thousands of quality, secondhand books, ordered by genre, available at yard sale prices under tents on the village Green. Another star attraction, running concurrently with the festival, is UNBOUND VOL. VII, a juried art exhibit at the ArtisTree Gallery. UNBOUND is a fascinating and unusual annual exhibit of art using books as material and inspiration. You’ll see books turned into unique and fabulous sculpture, curious folios, unlikley tomes, and much more. ArtisTree Gallery is located in South Pomfret, just two miles north of Woodstock. Publishers and book-related exhibitors and vendors will also be on hand at the festival. Food, drink, and live music round out the scene for a one-of-a-kind, family-friendly literary event that you don’t want to miss! Bookstock Literary Festival events are located at various venues around town but most take place in and around the village Green, just three minutes’ walk from all the unique shops and superb dining in Woodstock. Best of all, virtually every Bookstock event and workshop is free and open to the public. Visit www.bookstockvt.org for more information, including a full schedule. The annual Bookstock festival brings thousands of visitors and special guests to our town. If you hope to attend, time is of the essence and rooms are going fast. Our charming, Vermont B&B is the perfect solution to your lodging question, with 4 spacious guest rooms and suites in a charming 1820’s farmhouse. Our inn’s historic exterior is stylishly merged with modern conveniences like en suite bathrooms, in-room heating/air conditioning, high-speed WiFi, and so much more. Book your stay at Deer Brook Inn today!